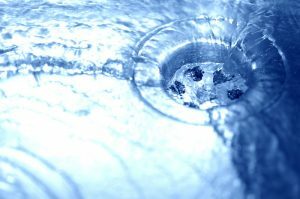 Drain And Sewer | Reliance Plumbing Sewer & Drainage, Inc. The plumbing system of your home is massive, and the smallest of problems can easily go undetected for months or longer. Something like a pinhole leak or the use of corrosive chemicals may seem really minor now, but give it time to build up and eventually you’ll have a plumbing emergency on your hands. Unfortunately, not many homeowners know how to properly take care of their plumbing pipes—in particular their drains. Keep reading to discover just how to do so, and how you can avoid premature drain repair in the meantime. What’s the Best Way to Repair a Damaged Sewer Line? Unless you live in the middle of nowhere and you home lacks basic modern plumbing, you have a sewer line running underground, connecting to the various drain lines in your home from the city’s main civic sewer system. 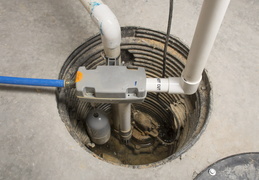 The underground placement of this plumbing component protects it from damage—for the most part—however, when problems do arise, they can be a hassle to fix. At least, that’s how it used to be. With new Glenview, IL trenchless technology, you can now get your sewer line repairs in a fraction of the time, for less money, and with far less damage to your landscaping and property. If you suspect a problem with your sewer line or know you have an issue, don’t hesitate to contact us to talk about trenchless sewer line repair! Posted in Drain and Sewer | Comments Off on What’s the Best Way to Repair a Damaged Sewer Line? Are Your Drains in Trouble? Many homeowners only call for Glenview, IL drain and sewer services if there is a clog that has completely formed in their drain and is blocking off the flow of water. But what if you could prevent this from occurring in the first place? There are a variety of warning signs that indicate you need a drain cleaning. The faster you can react to these signs, the more time and effort you’ll be able to save. Keep reading for a few of these signs. Posted in Drain and Sewer | Comments Off on Are Your Drains in Trouble? I Have a Sump Pump—Do I Need a Sewage Pump? The short answer to this is, “yes, most likely.” Both of these pumps are similar in that they are comprised of a holding tank or large canisters and pumps. They are also both used as indoor septic systems—but there are different purposes for each. Keep reading to learn more about both of these systems, their importance, and how to know when you need professional Glenview, IL sewage pump services. Posted in Drain and Sewer | Comments Off on I Have a Sump Pump—Do I Need a Sewage Pump? 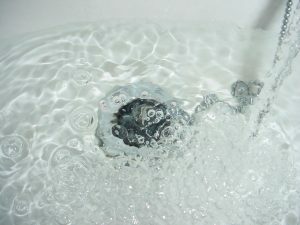 In most cases, homeowners don’t typically schedule drain cleaning services until something apparent happens that necessitates the service, such as a clogged sink drain or bathtub drain that’s causing water to back up. There are many times, however, that issues could warrant a drain cleaning but don’t present themselves very apparently. Therefore, scheduling Wilmette, IL drain and sewer services on a routine basis is essential in maintaining the effectiveness and efficiency of your drain and sewer pipes. But what’s involved in this process? The plumbing system in your home services two vital purposes. The first is bringing in clean water for drinking, cooking and cleaning. The second is removing used wastewater from your home and into the larger civic sewer system here in Glenview, IL. Most people tend to focus on the first half of that equation, but when the second half runs into trouble – when your drain system isn’t working the way it should – it can present an active health risk to your family. Trained plumbers can deal with a clogged or otherwise faulty drain system, but before you can summon them, you need to notice that your system is in distress. 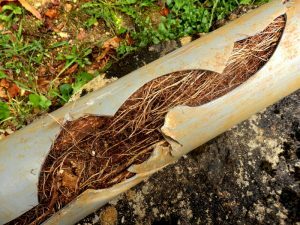 Here are 3 signs of drain trouble to watch out for. Your sewer line is charged with transporting waste from your home to the Chicago, IL public sewer system, and as such is an extremely important part of your household. The trouble is that it’s usually buried underground, which means spotting causes of problems and pinpointing the spot to make repairs can be a tricky business. The good news is that modern plumbers have a number of tricks up their sleeve to help with the problem, such as miniature video cameras that can travel the length of the pipe and get a definitive inspection. Possible causes of sewer line problems are varied, but can include the following. Once they’re identified, a trained technician can discuss the possible solution with you.